This shrimp recipe is very quick and very easy. It's great to make on weeknights because it takes less than 15 minutes to make. What makes this dish Moroccan is the fact that you cook the spices in olive oil for a minute or two to bring up the aroma, then you flash-cook the shrimp in the spicy oil. Serve with simple steamed rice and a salad for an easy meal. This recipe serves 2-3 as a main course, 4-5 as a starter. 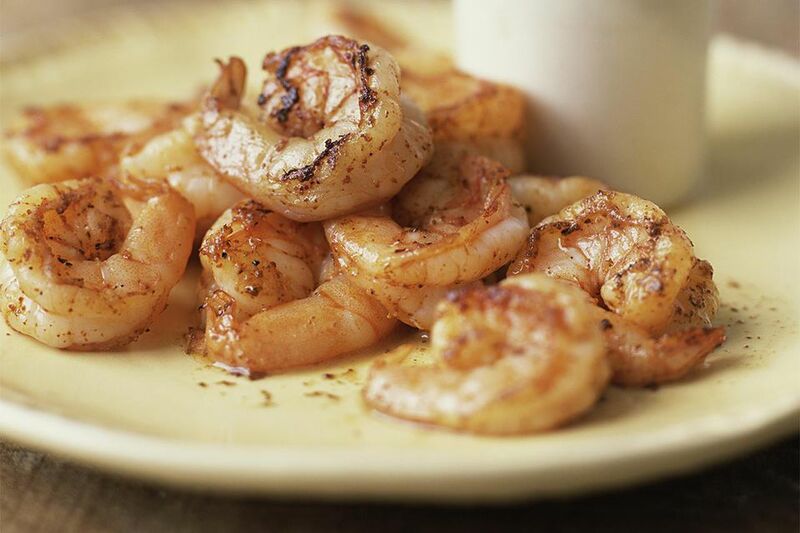 Salt the shrimp well and set aside for 10 minutes. Heat the olive oil in a large frying pan over medium-high heat for 2-3 minutes, then add the garlic. Turn the heat down to medium and saute the garlic for 1-3 minutes -- don't let it burn. Add all the ground spices and stir well to combine. Cook this, stirring often, for 2 minutes. Turn the heat up to high and add the shrimp. Stir to combine and cook, stirring constantly, until the shrimp turn pink. This shouldn't take more than 4-5 minutes. Turn off the heat, add the lemon juice and toss to combine. Serve at once.